so I decided to put it to good use in another recipe I've been wanting to try! 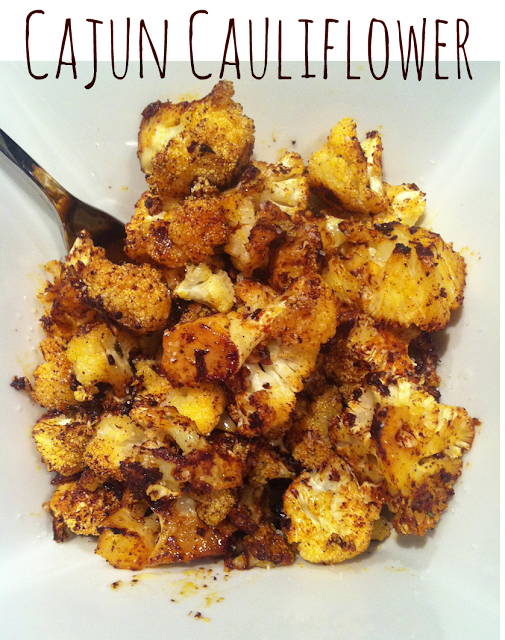 I promise this will be the last cauliflower recipe I post for awhile as I know a lot of people don't care for it. I, on the other hand, could could fill up an entire Pinterest board with all the different cauliflower recipes I want to try! It's really easy to make, the most difficult part is letting it roast long enough without digging in! I didn't have a lime on hand, but a little lime juice and zest would have been the perfect topper.